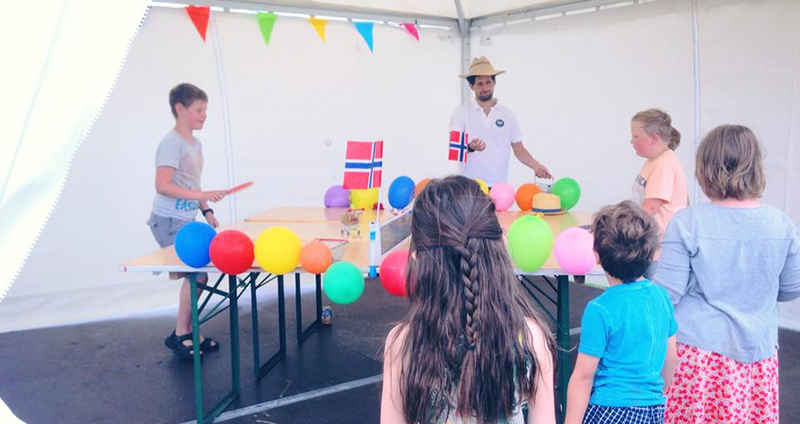 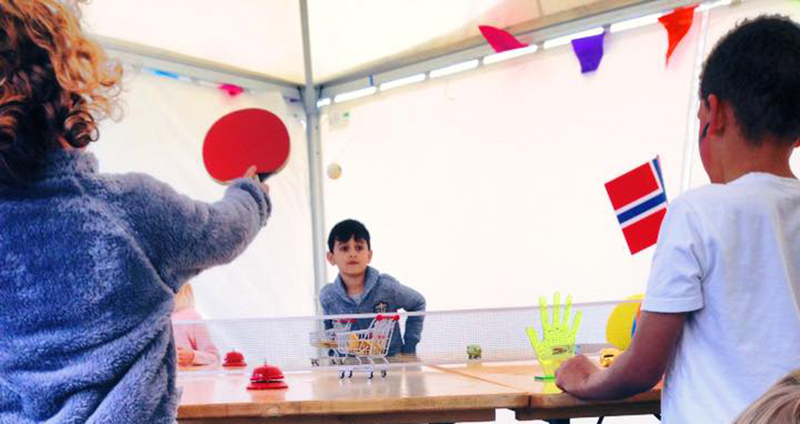 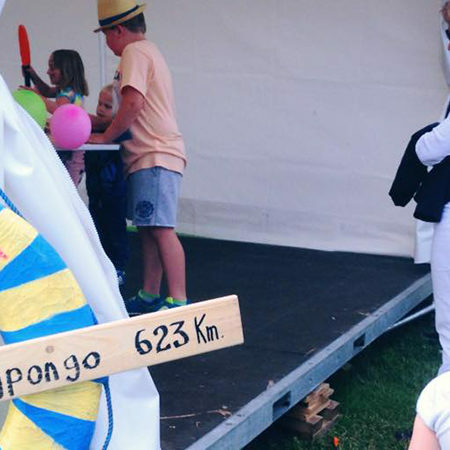 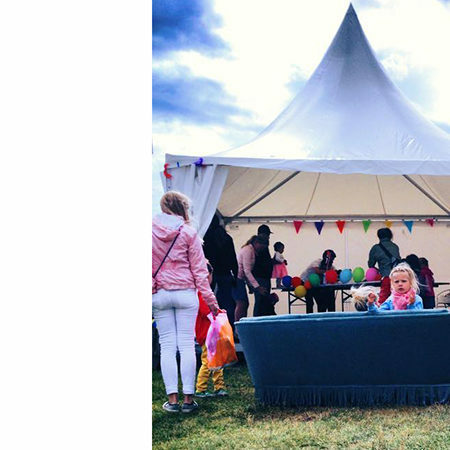 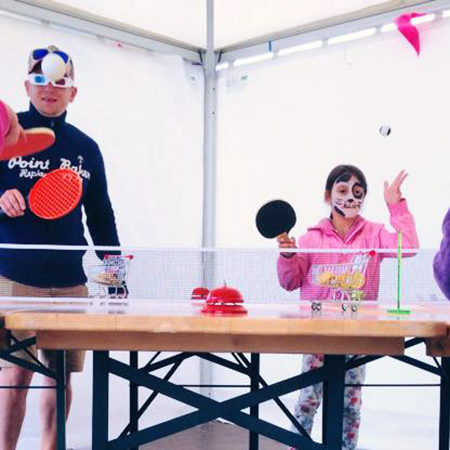 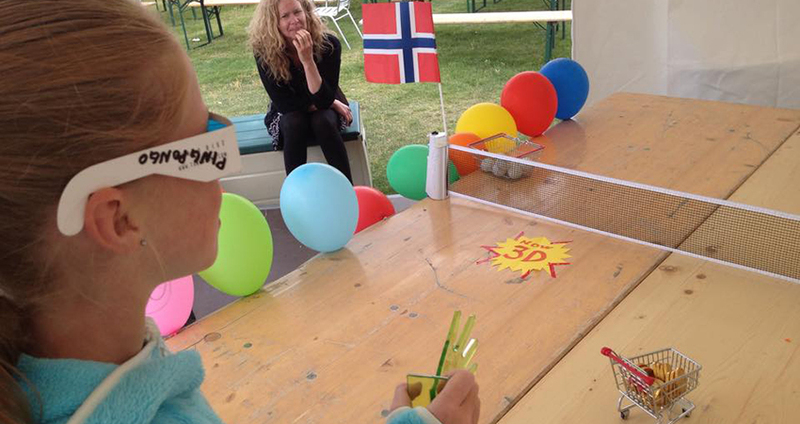 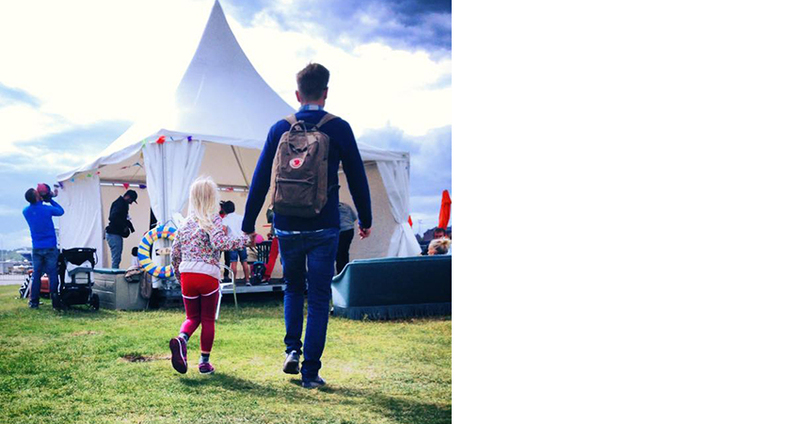 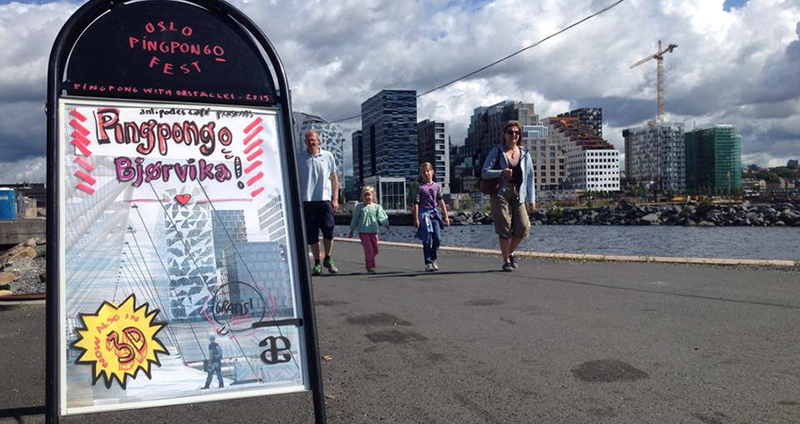 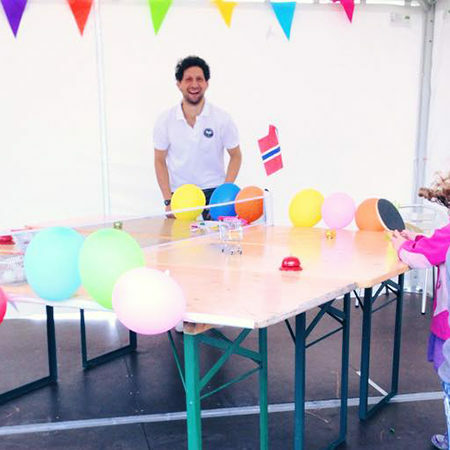 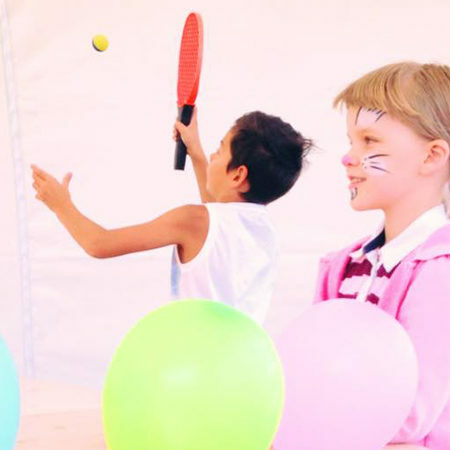 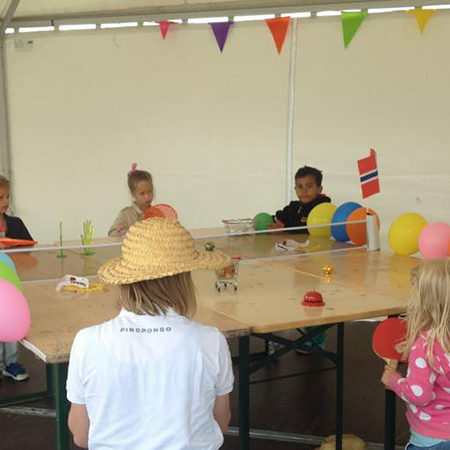 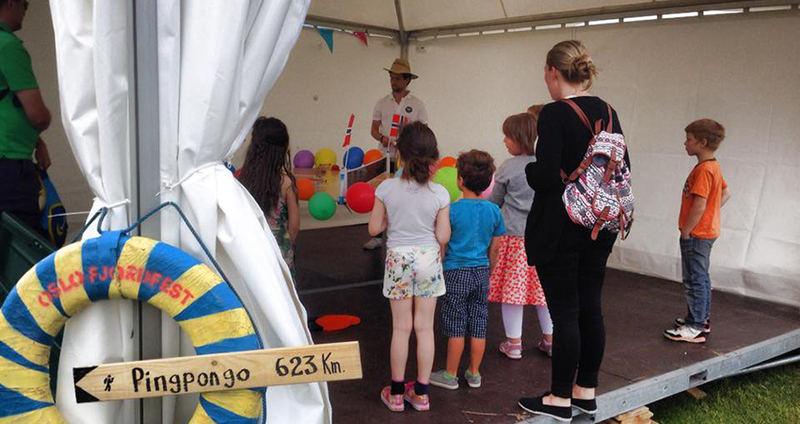 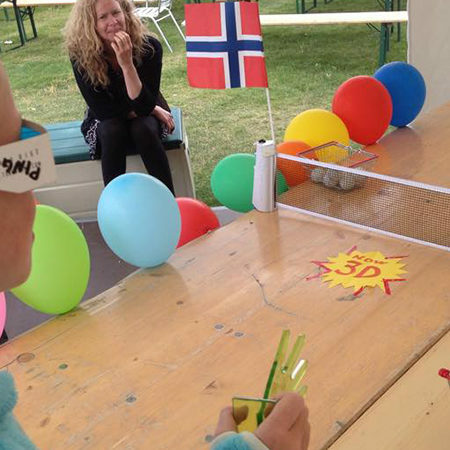 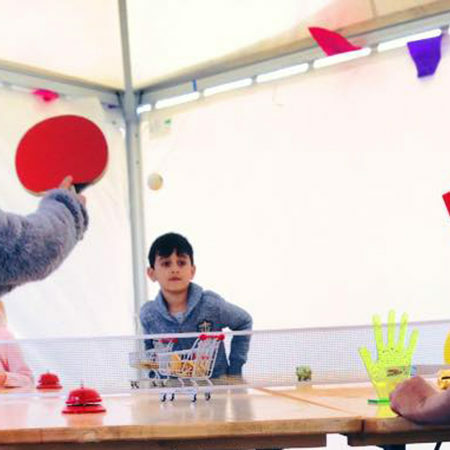 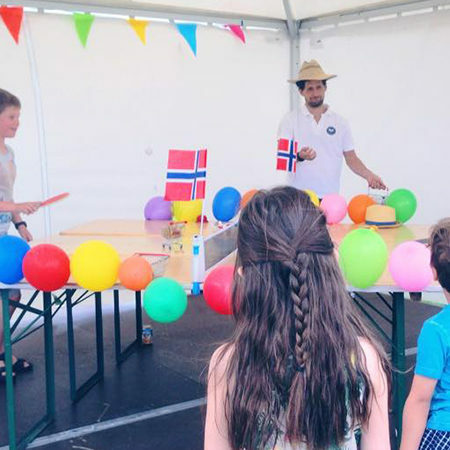 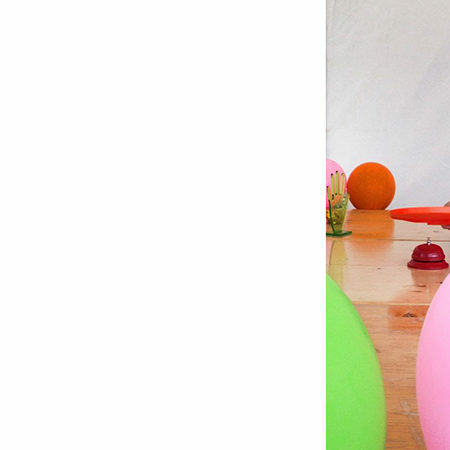 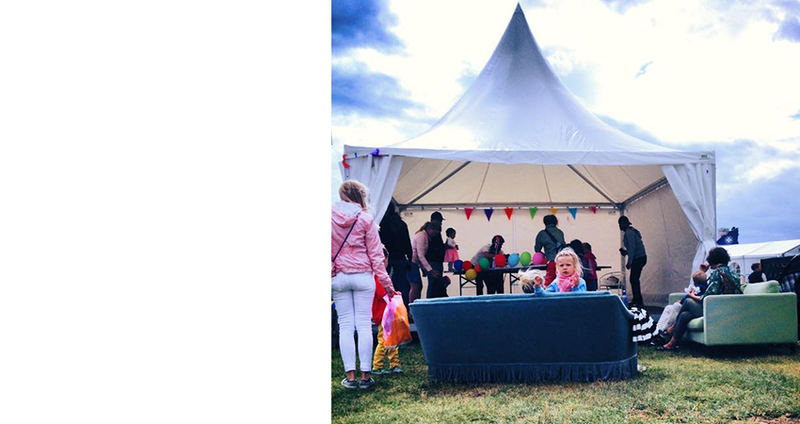 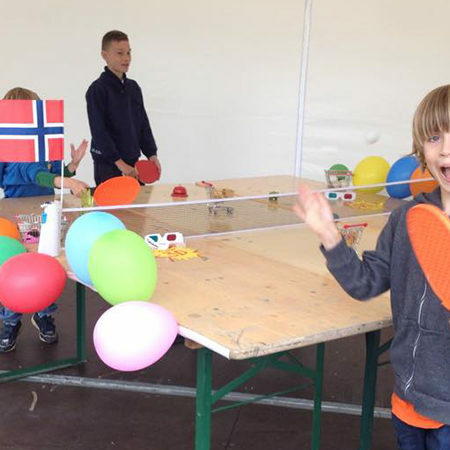 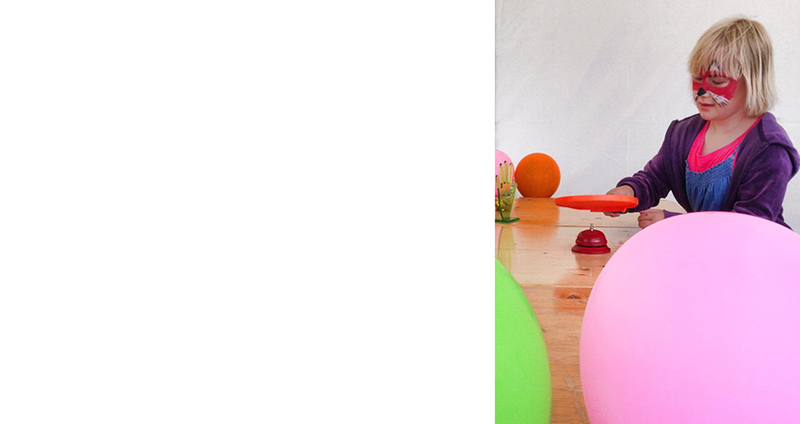 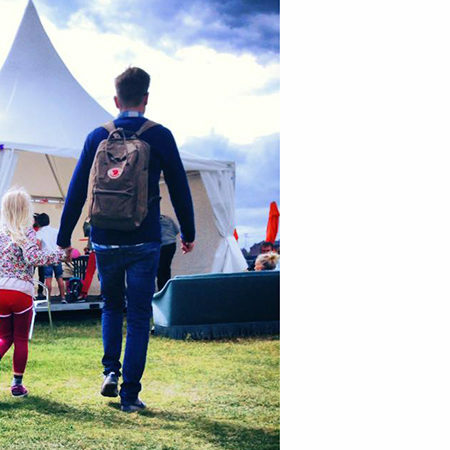 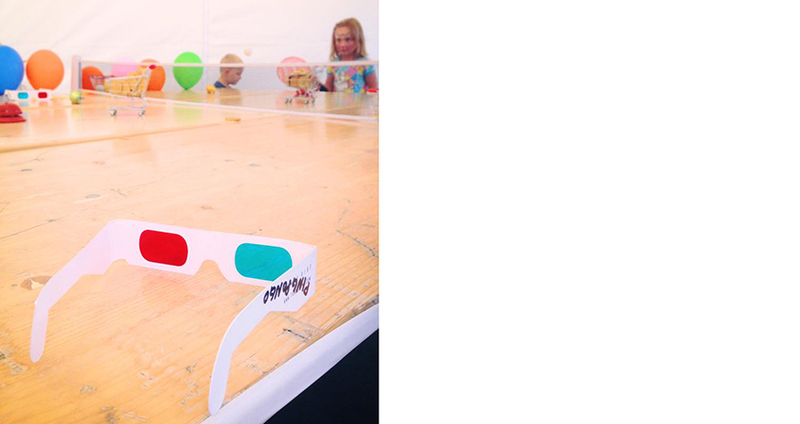 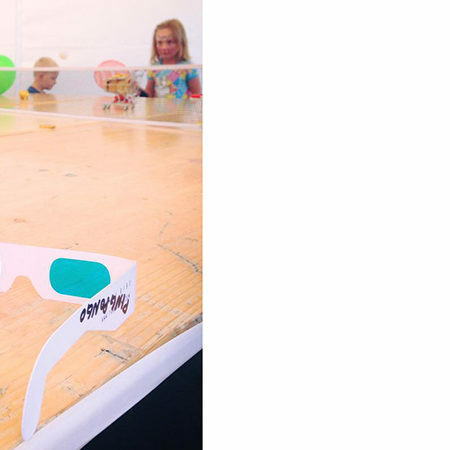 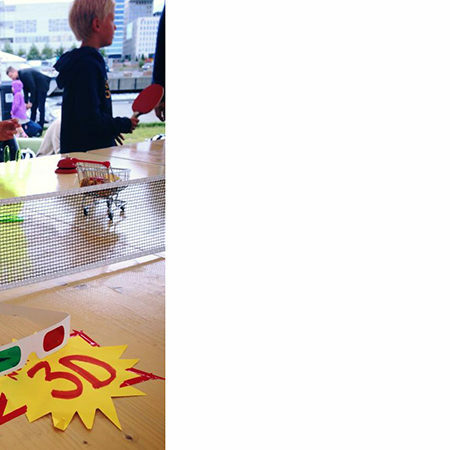 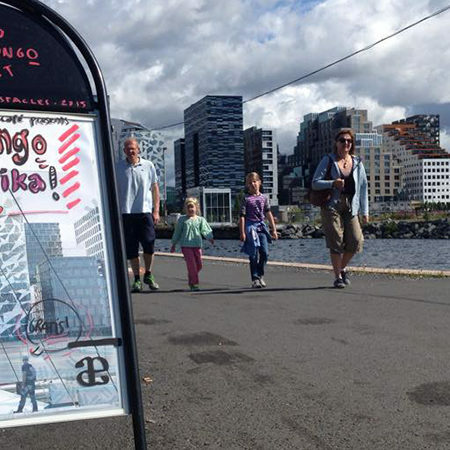 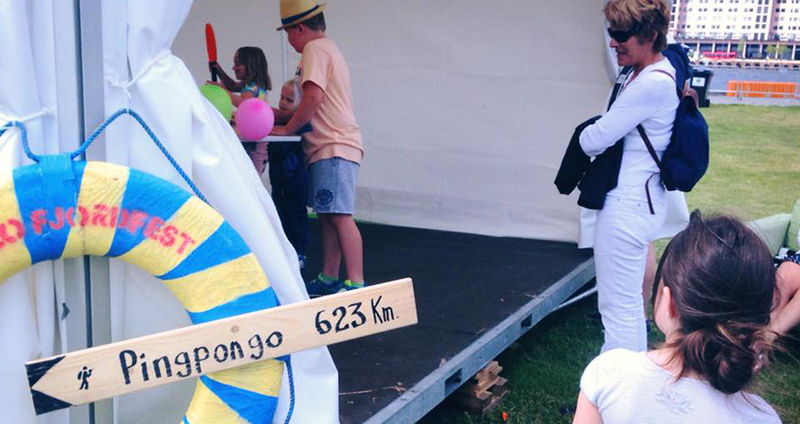 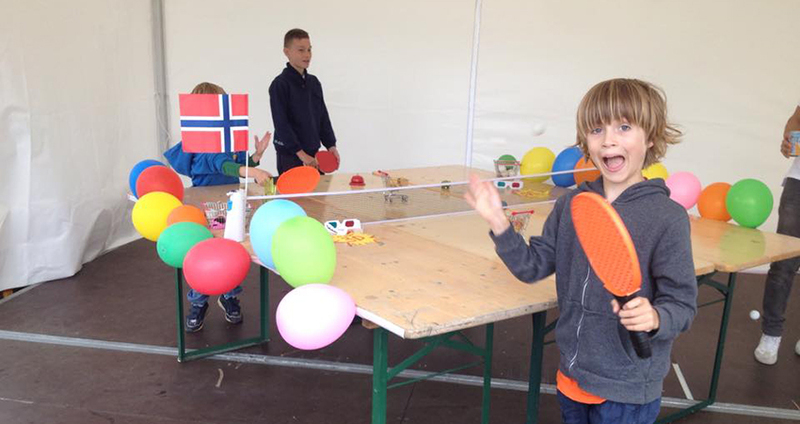 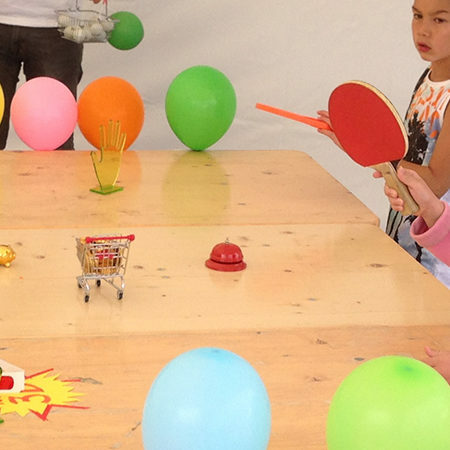 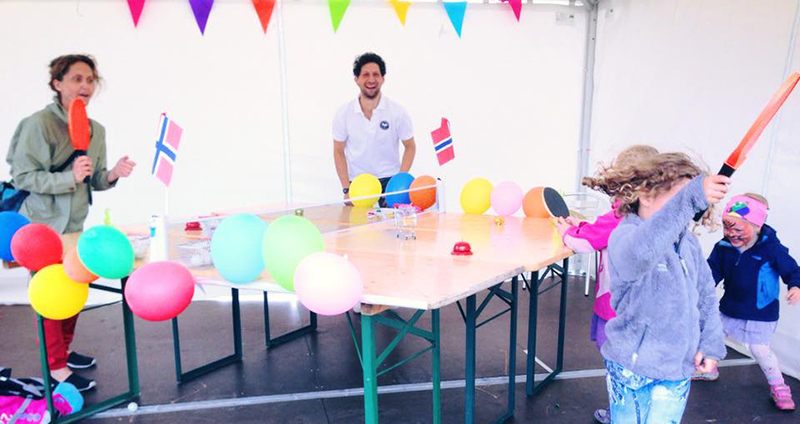 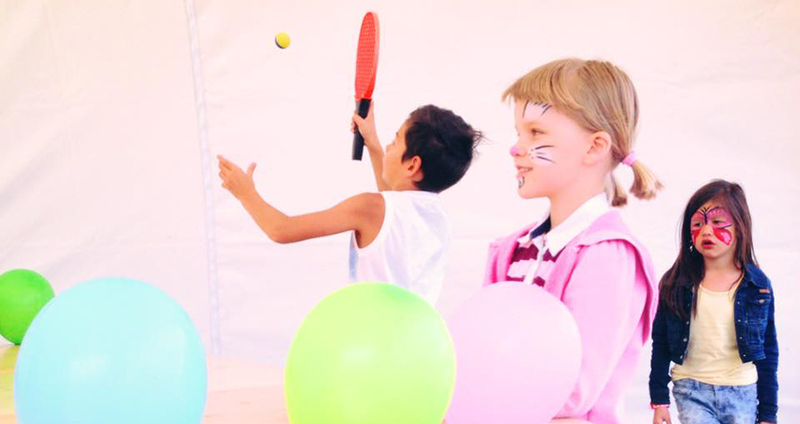 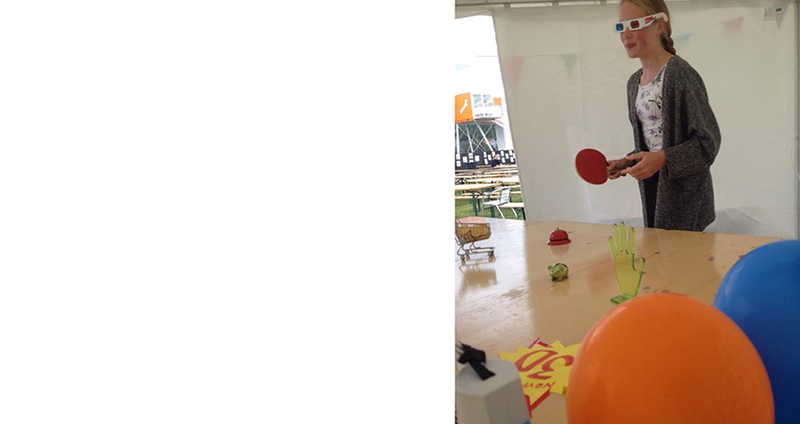 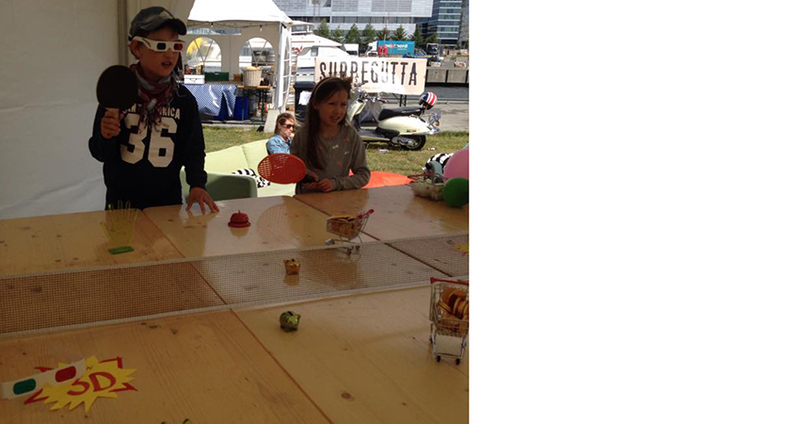 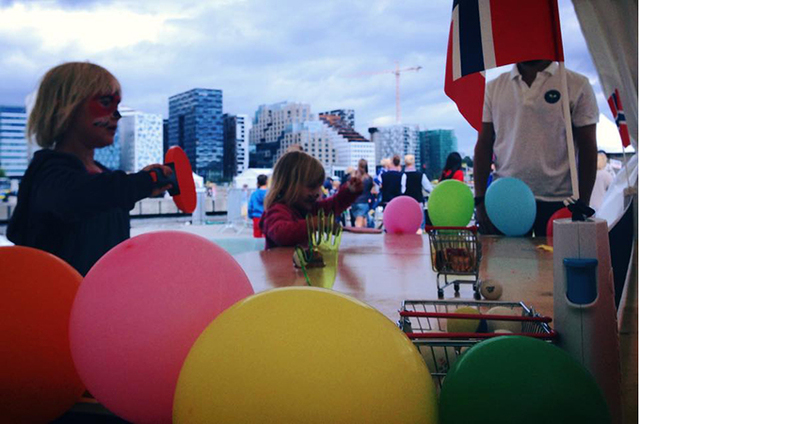 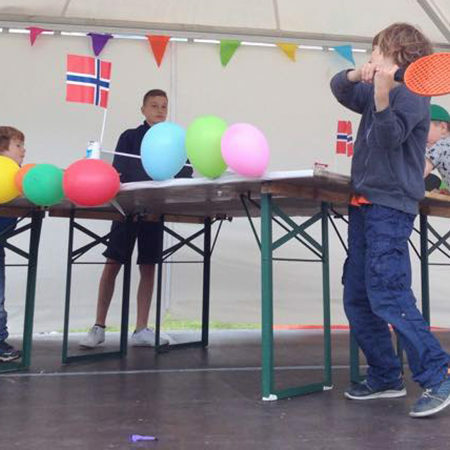 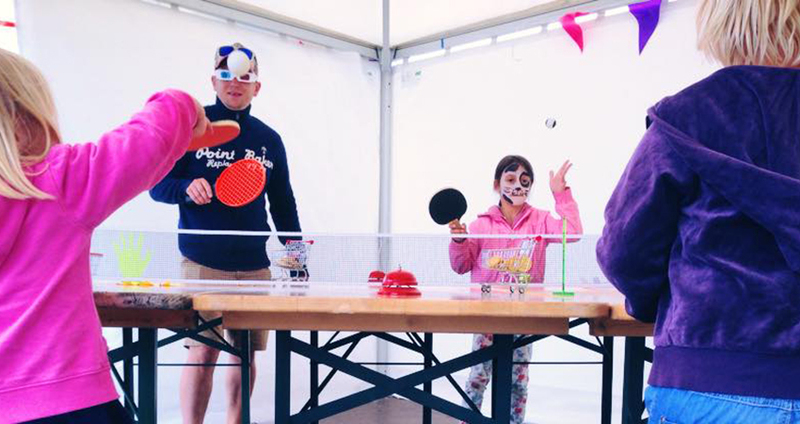 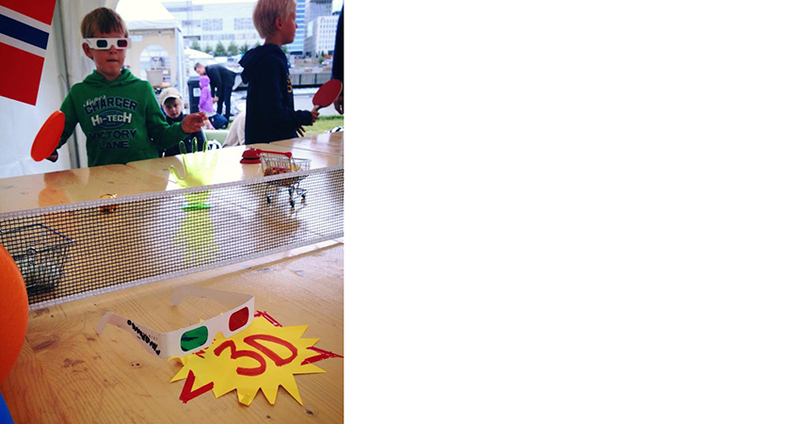 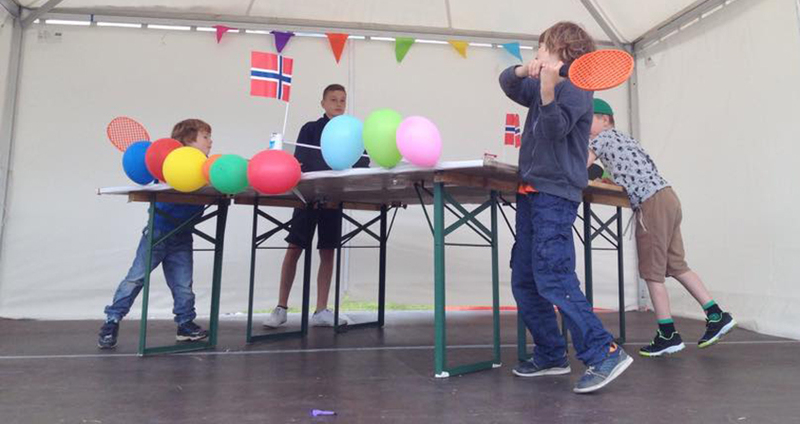 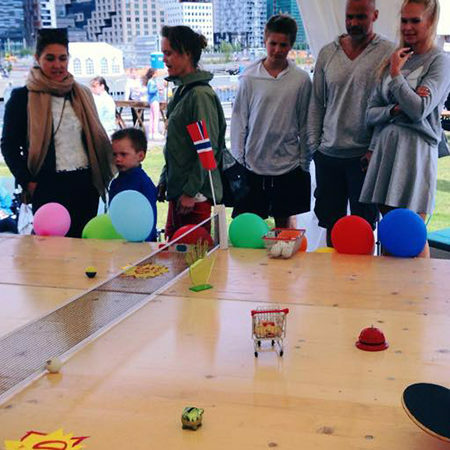 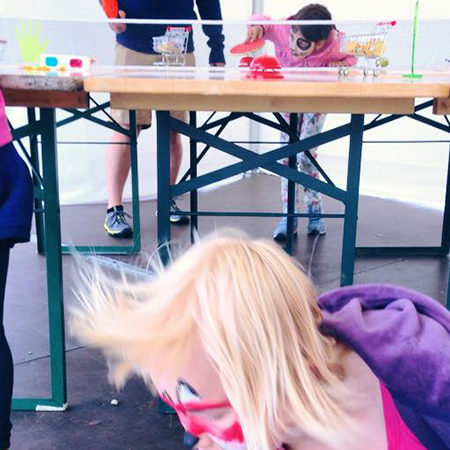 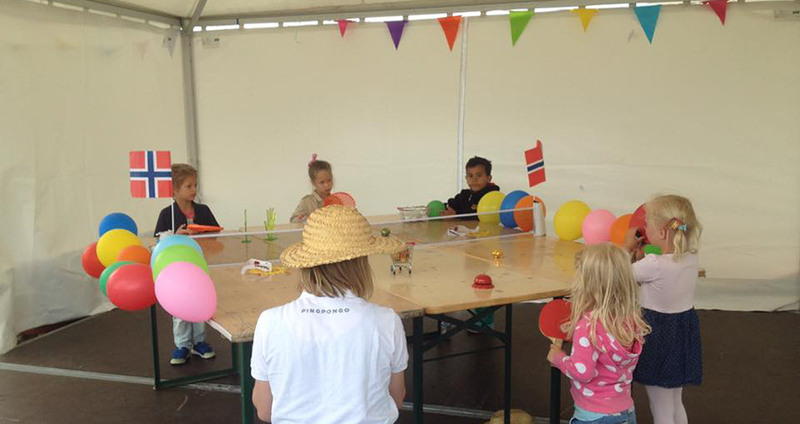 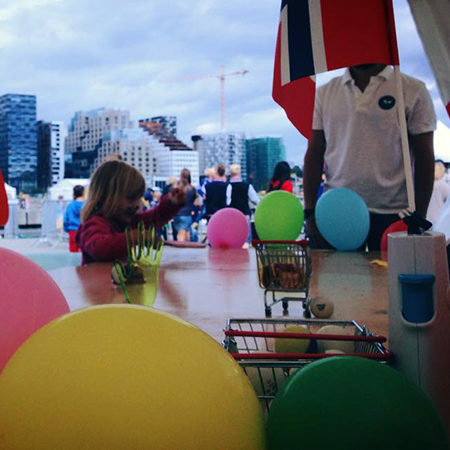 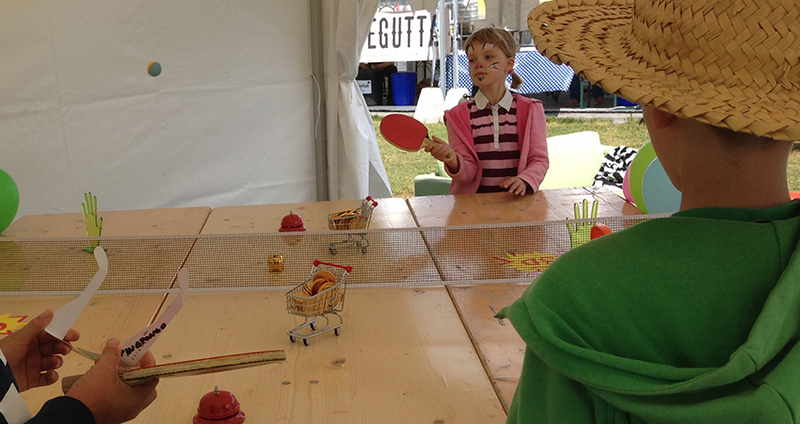 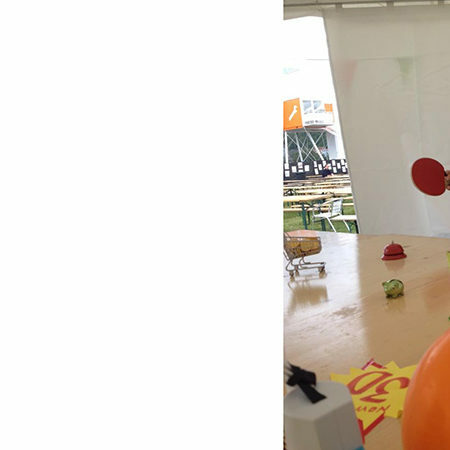 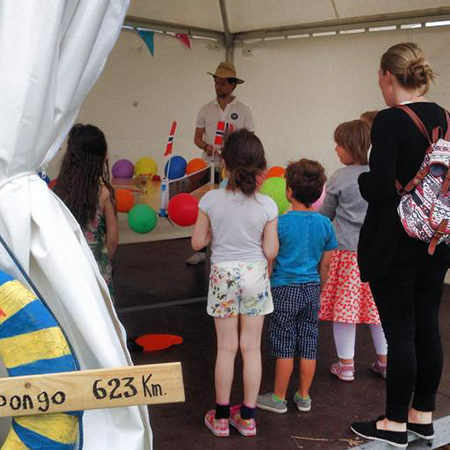 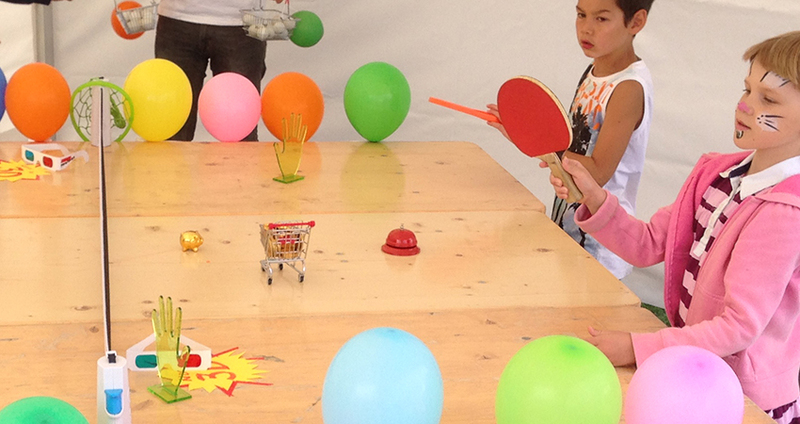 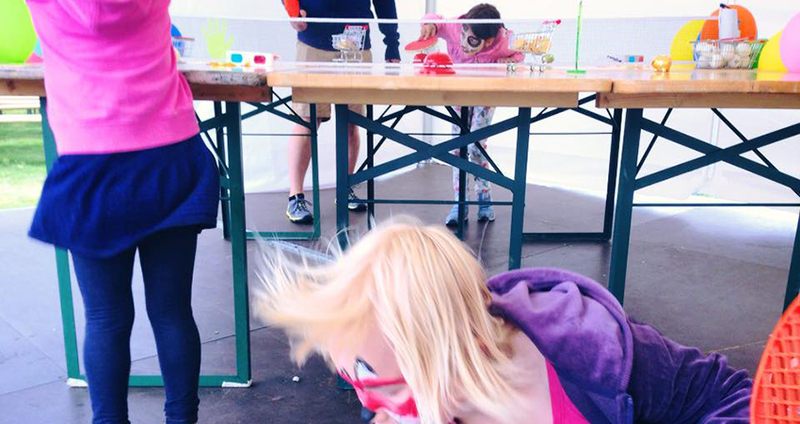 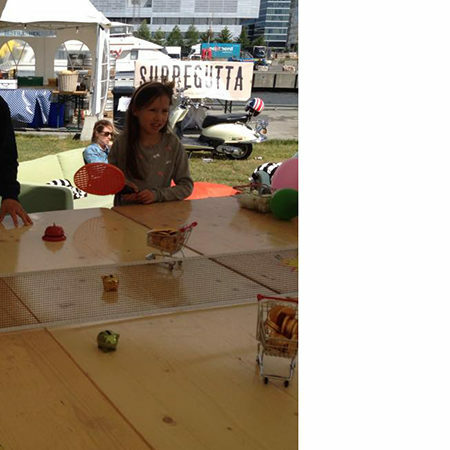 Inside a tent at Oslo fjord fest, and with their “festival” tables, we mounted an area for practicing Pingpongo. 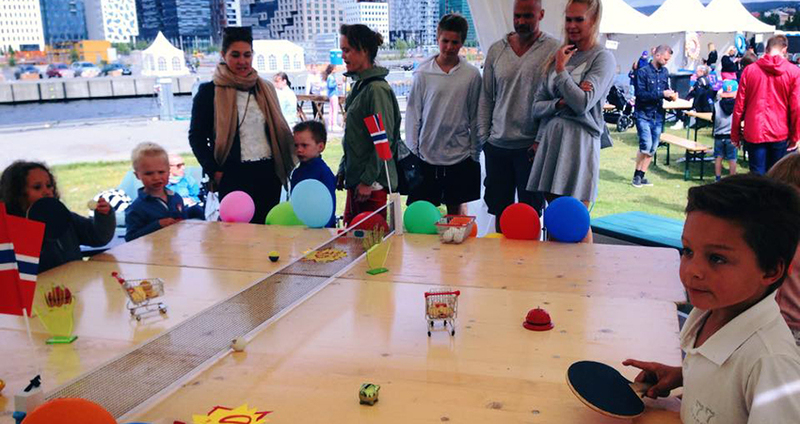 Basically people arrived and we played the whole afternoon with mental and material obstacles, confirming this sport can be played by kids aged 5 to at least 100… under 5 is quite difficult. 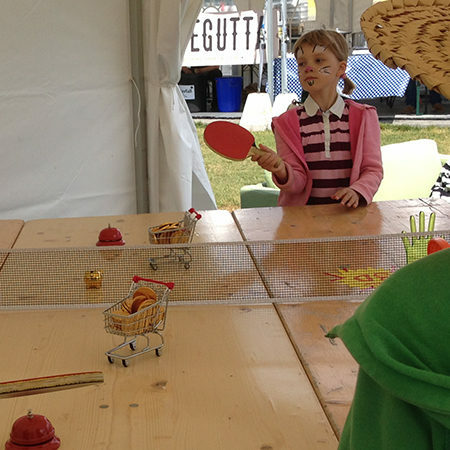 Obstacles where 3D lens, supermarket carts and baskets, golden coins, piggy banks, hotel bells, balloons and some wind of change, yes, all surroundings felt little bit “Scorpions”.